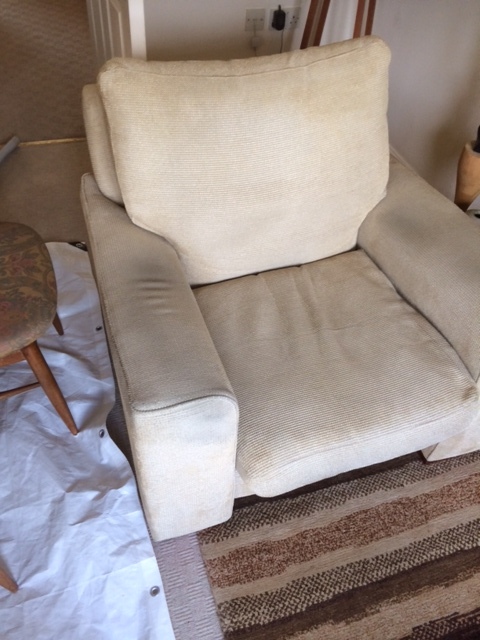 Cleaned some chairs for Mrs. D in Uppingham today. They appeared heavily soiled but discussing with Mrs D she is a keen reader of newspapers and does several crosswords each day. This chair was her favourite and so was the one that had had the most exposure to newsprint. Most of the soiling was due to transfer of the ink. As such this was not a normal soil removal but instead I had to remove the dye from the ink that had set itself into the fabric. 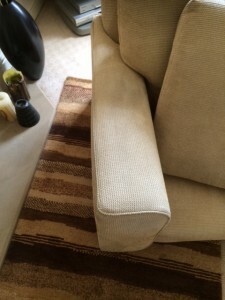 Fortunately the cleaning solutions I use, and more specifically the special spot and stain removal products I have, allowed me to release the dye from the fabric and then extract it using M-Power, a unique cleaning solution that works at a molecular level physically destroying unwanted soiling. Once the solution is dry it biodegrades and is undetectable leaving no dirt attracting residues. This keeps the fabric cleaner for longer. 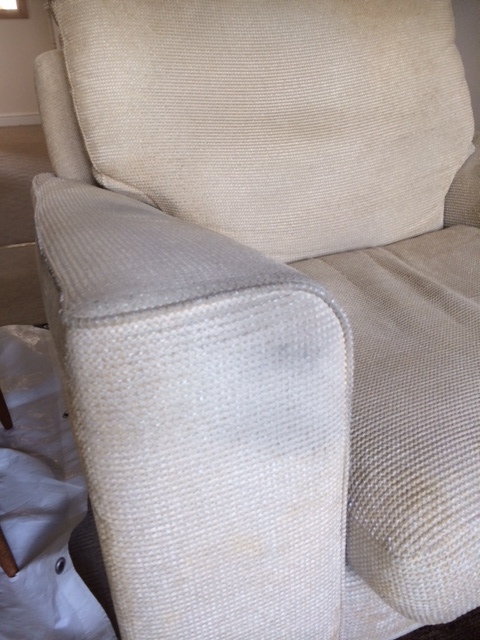 To further enhance your upholstery you can also have them protected once they are clean. Whilst a protector wont stop upholstery getting dirty it will resist certain soiling and make it easier to clean off and dirt or stains that do appear. A protector should only be applied once the fabric has been cleaned and takes up to 24 hours to be fully effective, during which time the furniture should not be used so you need to plan carefully when to have the upholstery cleaned so as to minimise your inconvenience. 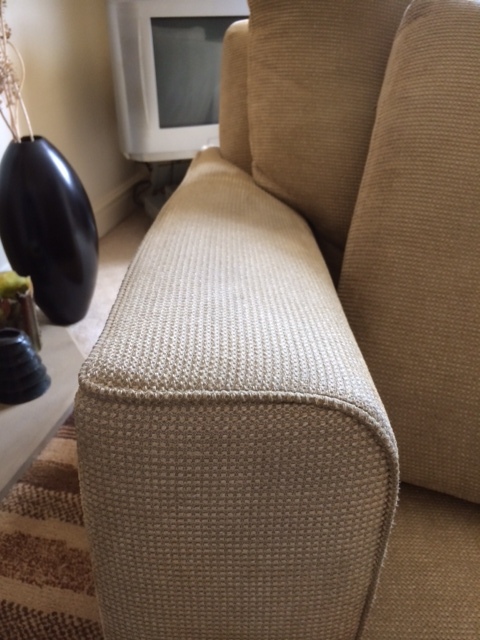 At The Rutland Cleaning Company we are flexible in our working hours so can undertake any upholstery cleaning Uppingham to suit you.